Location: At the Head of Loch Nedd. This gives a new meaning to the word 'remote'. 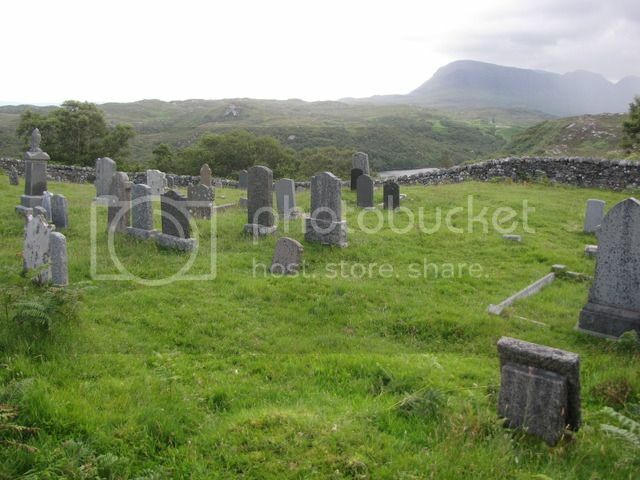 The graveyard is not 'at the head of Loch Nedd' but is on top of a hill up a steep and unsignposted grass track in the tiny community of Nedd itself. Would never have found it but for helpful local. Grave Reference: Left of entrance. 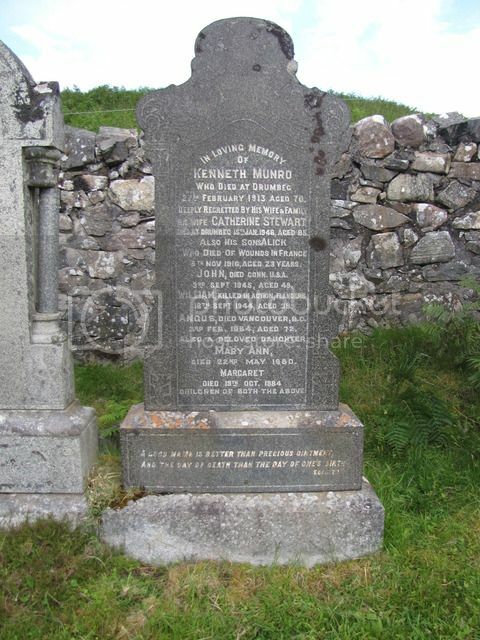 Additional Information:Son of Mr. and Mrs. John Kerr, of Nedd, Drumbeg, Lairg. 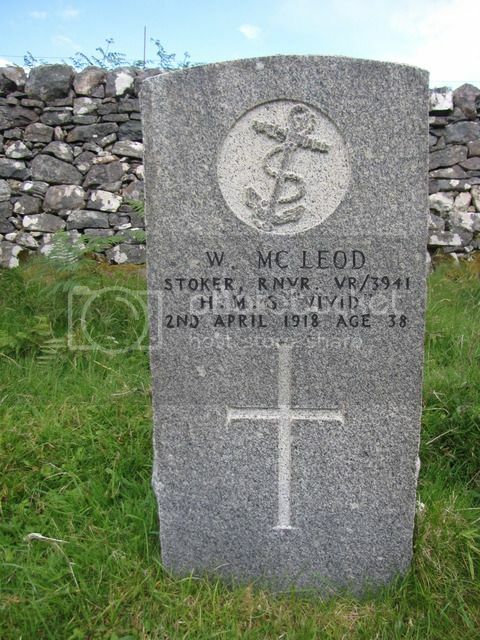 Additional Information:Son of Marion McLean, of Nedd; nephew of Mrs. A. McLean, of Nedd. Regiment/Service:Canadian Infantry 1st (Reserve) Bn. Grave Reference: In far part. 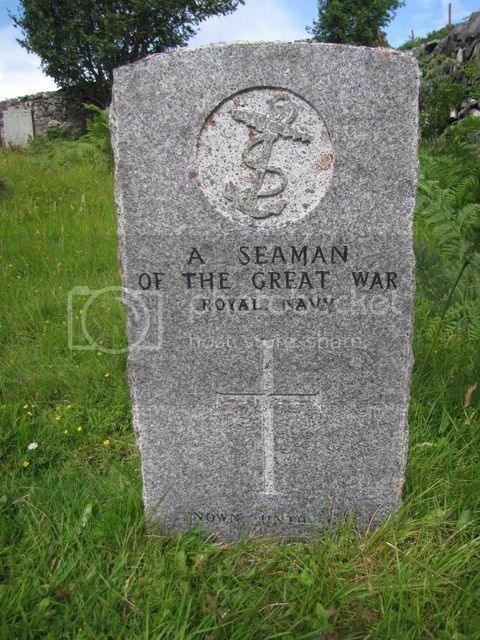 Regiment/Service:Royal Naval Canadian Volunteer Reserve H.M.S. "Vivid." 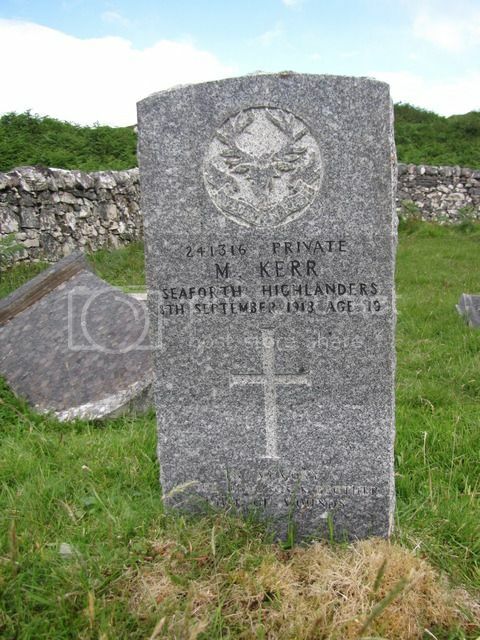 A family stone - one son killed in WW1, another killed in WW2. Regiment/Service:Cameronians (Scottish Rifles) "C" Coy. 10th Bn. Grave Reference: Officers, B. 2. 9. 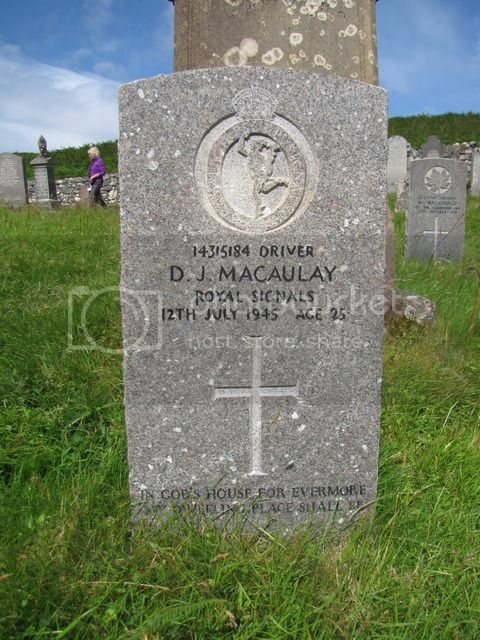 Additional Information:Son of Kenneth and Catherine Munro, of Drumbeg, Lochinver, Sutherland. 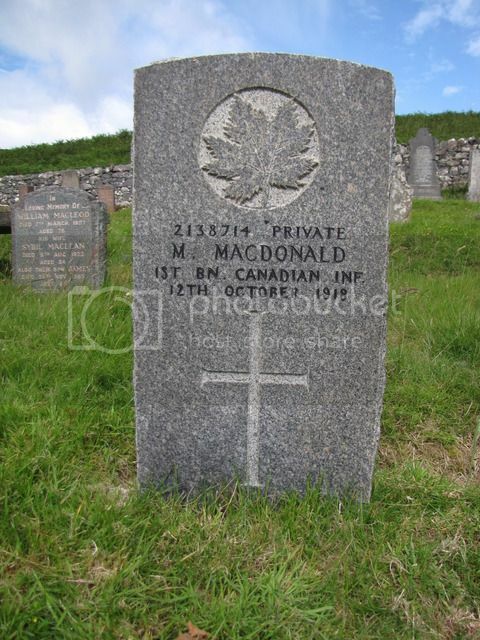 Regiment/Service:Toronto Scottish Regiment (M.G. ), R.C.I.C. Grave Reference: 8. H. 1. 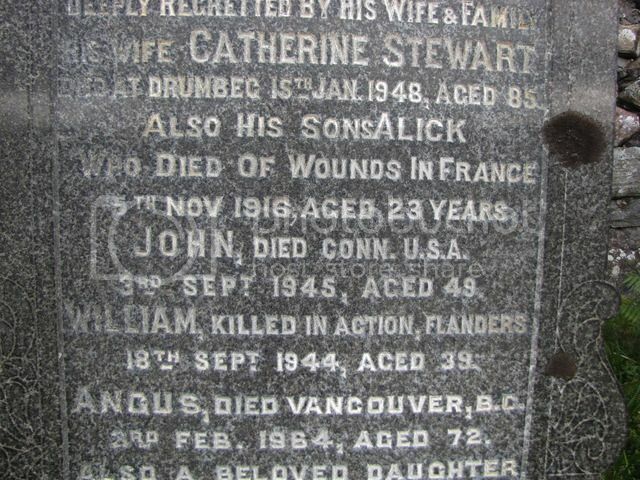 Additional Information:Son of Kenneth and Catherine Munro, of Drumbeg, Sutherlandshire, Scotland.